I am obsessed with roasting. It is so much more flavorful than boiling, so much healthier than frying, and so much easier than sautéing. The only cooking method better than roasting is grilling; however, I don’t have a barbeque grill and our mini Foreman can’t really compare. I already love roasting asparagus, butternut squash fries, squash seeds, sweet potatoes, brussels sprouts, beets, garlic, chicken, walnuts… okay, basically anything. So when I came across a healthy taco salad recipe that substituted roasted chickpeas for tortilla chips… I had to make them. These little morsels were fantastic to nibble on as a snack or as a healthy salad topping like in a Taco Salad with Roasted Chickpeas and Cilantro Lime Dressing. Preheat the oven to 375°F. Line a baking sheet with foil. 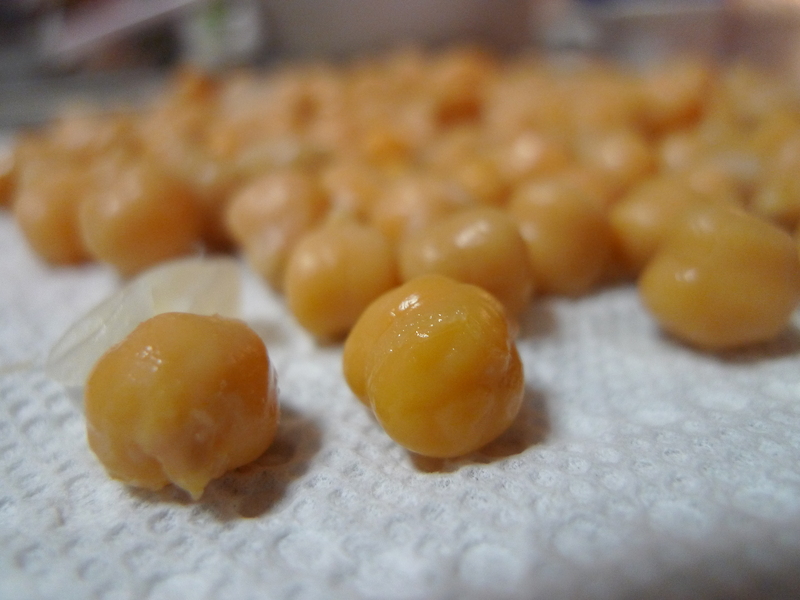 Drain chickpeas and rinse well. Place between two paper towels to dry and discard any skins that come loose. In a medium bowl, gently mix all the ingredients except for the chili powder (chickpeas, olive oil, salt, garlic powder, cayenne pepper, black pepper) so that each pea is evenly coated. 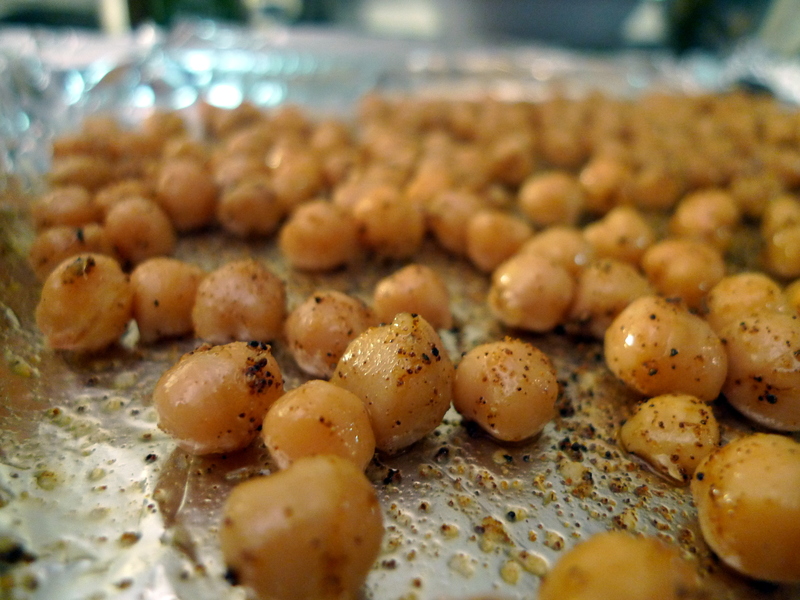 Place the seasoned chickpeas onto the baking sheet and sprinkle with 1 T chili powder. Roast in the oven for 30 minutes, making sure to shake the pan every 10 minutes. The longer you roast them, the crispier they will become. I think 40 minutes is max though as you get to corn nut consistency by then. 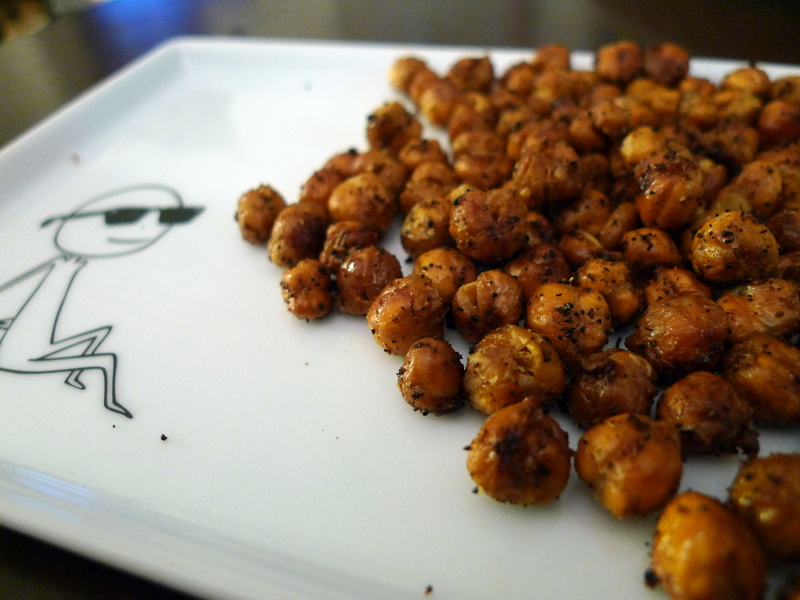 Once the chickpeas have reached the desired texture, remove from the oven and let cool. 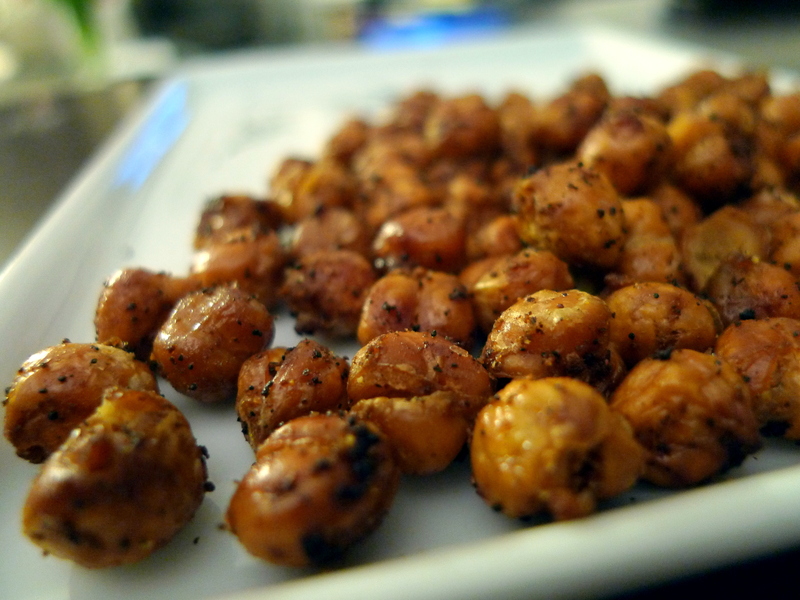 Enjoy as a crunchy snack or a healthy salad topping alternative to croutons! Check out this recipe for Taco Salad with Roasted Chickpeas and Cilantro Lime Dressing.